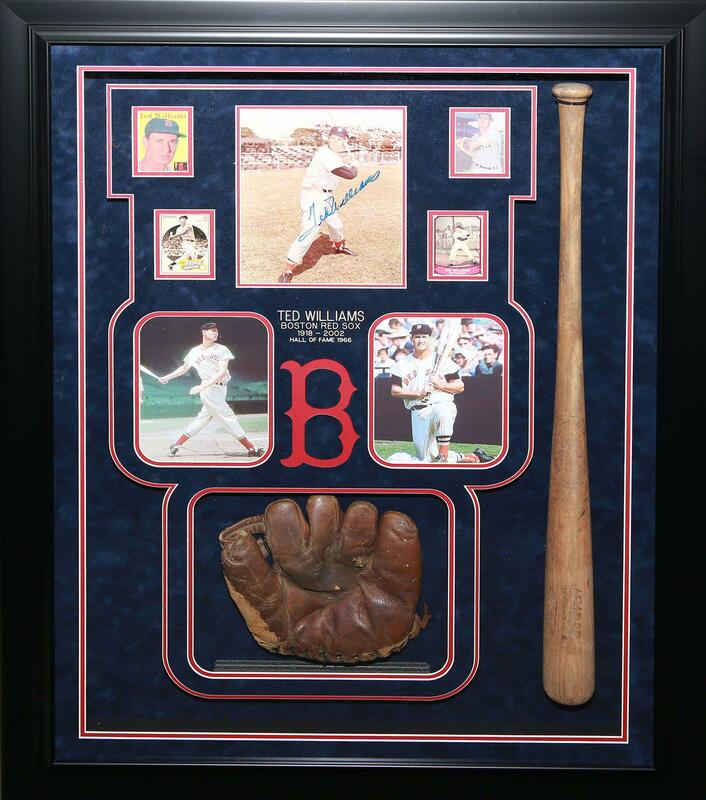 Baseball Memorabilia and Collectibles include Autographed Photo, Baseball Cards, Game Used Bat and Glove. Approx. Measurements of Frame: 33 x 44 inches.